"I’m still buzzing with the exhilaration of seeing Parallel Lines last night at the Ffyrnes, Llanelli. The script was powerful and relevant, and the staging was simple but so effective in its focussed austerity. Best of all, it featured four highly-talented actors all of whom gave brilliant performances. Thank you very much, Dirty Protest, for a wonderful evening to remember and savour." 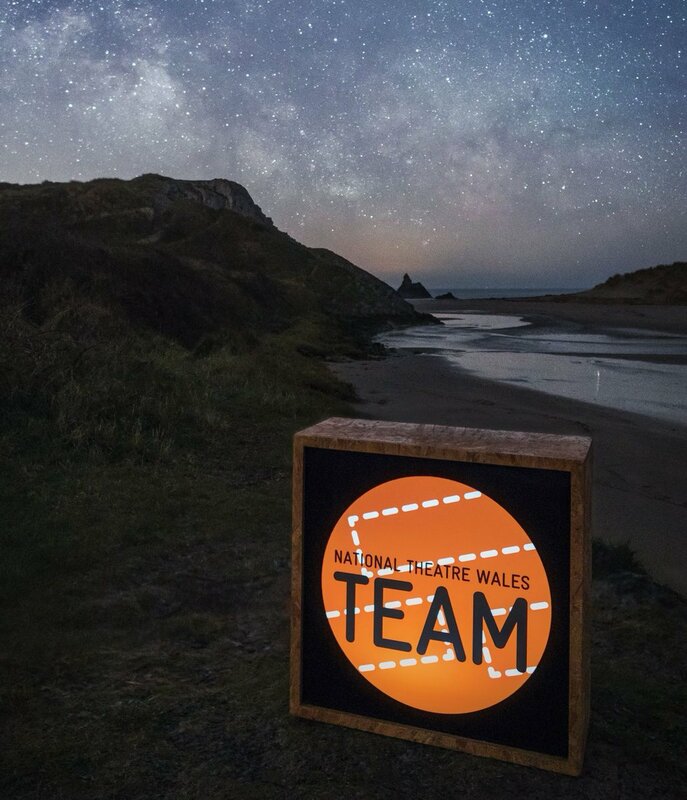 I encourage everyone to apply for opportunities on NtwTEAM and with Dirty Protest to take advantage of professional development opportunities within Welsh theatre. What an amazing experience to work with such an incredible bunch of professionals who were not only inspiring but also truly lovely. The 'Plays in a Bag' workshops were great opportunities for writers in both Welsh and English language to develop their skills and see their work performed by professional actors which was inspiring to see. Dirty Protest are helping to nurture the next generation of writers and are undoubtedly a company to follow and attend. This was an exciting piece of theatre to be part of and it was incredible to witness the development of the audio description and touch tour to help make the production accessible for visually impaired audience members. I hope that more companies will follow the lead that Dirty Protest have started making towards greater inclusivity in theatre. I recommend heading over to the NtwTEAM Community page to see what opportunities are coming up and engage with and support local theatre companies. As a recommendation for aspiring Assistant Directors applications- the placement was 2 days a week which can make you feel disconnected from the process as so much happens during the times you are absent from rehearsals. I would encourage people, where possible, to take full advantage of the opportunity and commit as much time as possible to these placements. Perhaps seek funding from other bodies or fundraise to enable you to participate in the whole week of rehearsals. It is hard to be of help when you have missed vital development of scenes and characters. I was lucky to go straight from this experience into Broadway to the Bay at the Wales Millennium Centre which was a great experience for the Ascendance children to perform at this epic venue! The kids adored spotting musical theatre celebs in the wings and I'm sure the last month will be something both they and I remember!